For me, marketing is the process of taking your goods and services to market. For many others, marketing is simply telling people what you do and sales is about getting them to part with their money. Separating these things out will necessarily cost you money, sales and profit. What I’d like you to do is replace the idea of there being one or the other with the idea of there being one journey. Marketing is the job of putting down stepping stones that provide moments of purposeful pause. Imagine a stone somewhere where someone can stand, think and then the job of sales is to be one step ahead with an outstretched arm inviting somebody forwards. The other way to think about this is that marketing is about the tools, the events, the materials and sales is about the conversations that bring someone to that material and on to the next item. So the three things for you to think about when it comes to “What is sales and what is marketing?” is that there is one journey from your customer’s perspective and they don’t care whose job it is, they simply want to be comforted and taken through their buying decision in a way that suits them. The second is to have a think about marketing as creating purposeful moments of pause, stepping stones for someone to stop and think and for sales to be the conversation and the person with their arm outstretched, inviting somebody forwards. When you separate the two things out you lose customers in the gaps in-between. When somebody thinks that they own it rather than somebody else, you lose the continuity of message, you lose the opportunity to truly bring someone into a relationship with your business. It’s like trying to get to know two people to see whether you want to marry them both. You want customers to build a relationship with one thing and that is your business. Not your sales people, not your marketing people, your business. 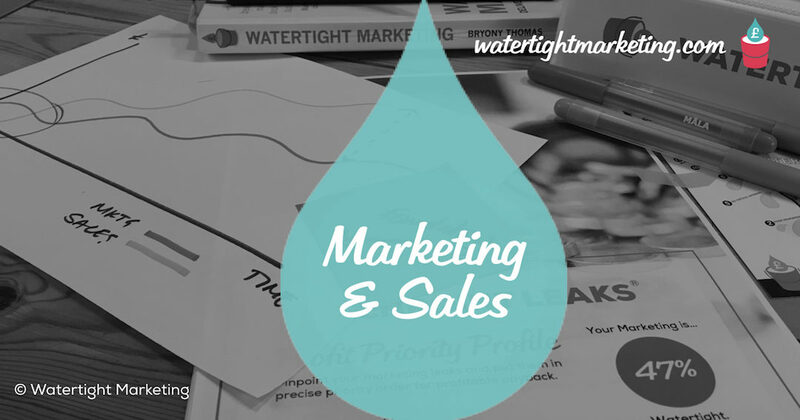 Bryony Thomas is the multi-award winning creator of the Watertight Marketing methodology, captured in the best-selling book of the same name. 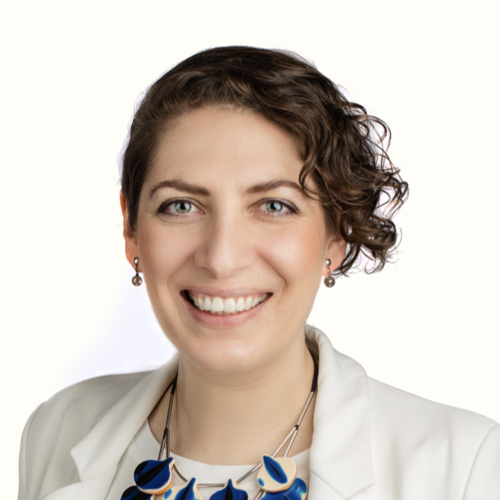 Bryony is a popular professional speaker for entrepreneurial audiences. Bryony's impressive career includes heading up the Microsoft account in the UK aged 26, and securing the role of divisional director of marketing for FTSE 100, Experian, aged 28.